Throughout 2019 we'll be capturing stories from individuals involved with the DofE about their experiences. If you would like your story to be used within our digital media and other channels please complete the DofE questionaire and send to robert.powell@boys-brigade.org.uk along with any photos you are happy for us to share. In each case study, the young people explain what membership to The Boys' Brigade means to them, which parts of the Award they enjoyed the most and future involvement as a volunteer. Duke of Edinburgh is a very special award and has gone a long way to develop me into the person I am today, it has not only given me the skills that I now use in my day to day job, but to have the bronze silver and gold award on my cv allowed me to secure a degree apprenticeship in construction management with Farrans construction who are a big building company across the UK, and I believe that DOFE was a big factor in me securing that job, so if you are considering doing the award, my advice would be go for it, you will create friends and memories that last a lifetime. What does the membership of The Boys' Brigade mean to you? It means I am part of not just a worldwide organisation, that is recognised in many countries around the world, but I am partner of a wider family and living by the principles and conduct of The Boys' Brigade. Do you think you will continue to volunteer? Yes I will, I will continue to teach and develop the young buglers in the band of my company and on a national level when we go on the Boys' brigade band tour where I am solo bugler and a bugle instructor. 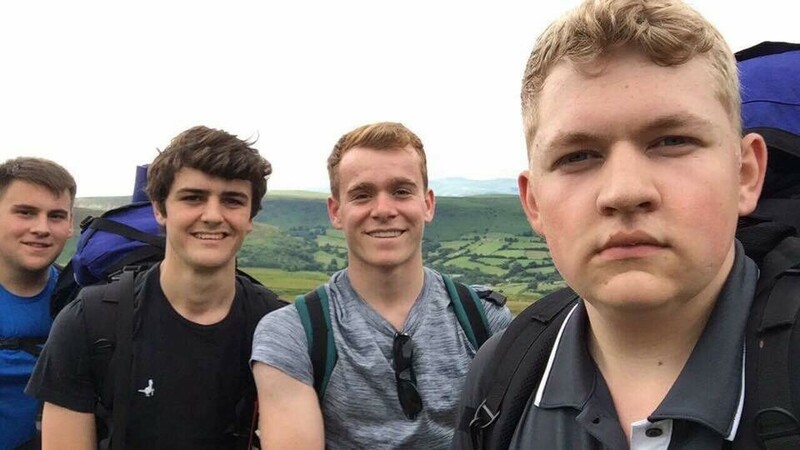 Which part of the DofE did you enjoy the most? 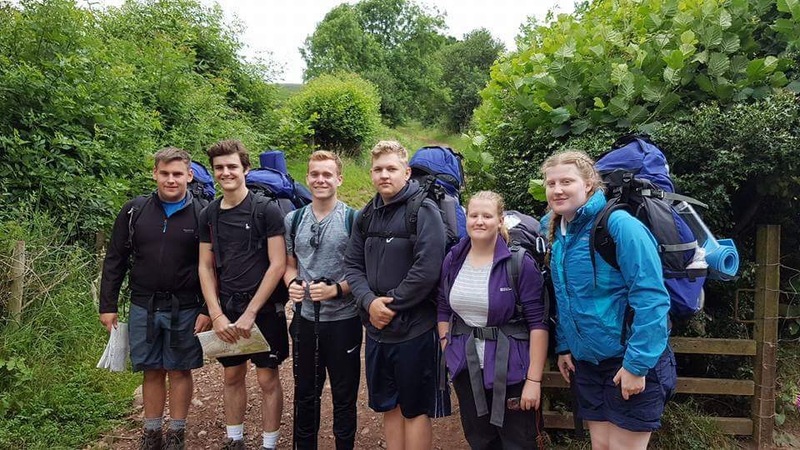 I really enjoyed the expedition side of the award, it was a great opportunity to explore different parts of the country and be out with your friends creating bonds and memories that I will never forget, and the great sense of achievement of completing every expedition is a truly tremendous feeling. How has the DofE experience helped in your personal development? It has enhanced my leadership skills of people not only my age but also younger and older. It has made me a more rounded person by giving me opportunities to lead, experience and enjoy things I never would have done. 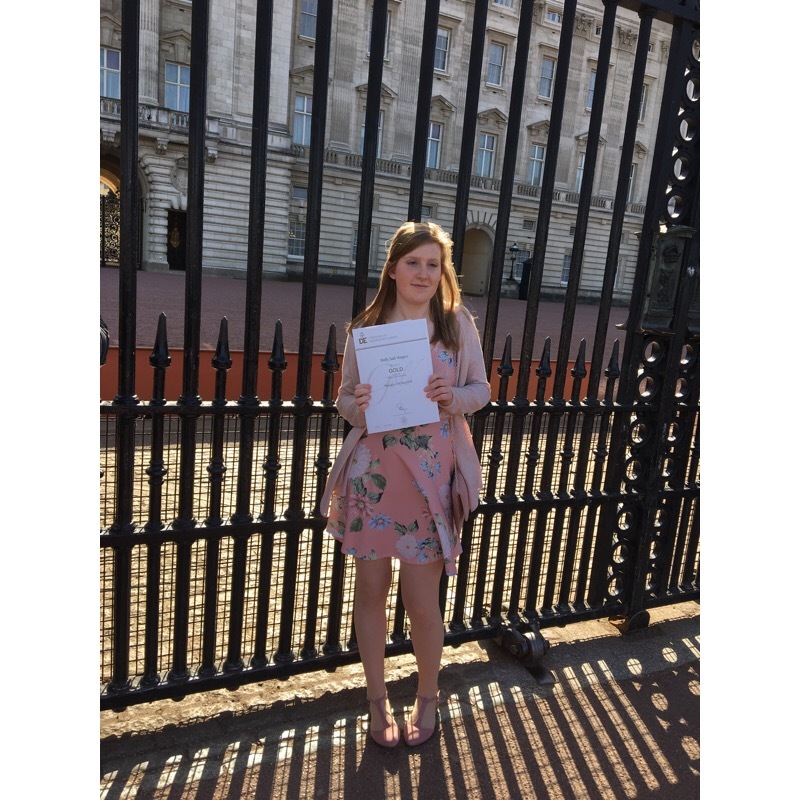 It has given me the chance to effect people’s lives for the better and being able to go on to the KGVI course allowed me to explore thoughts and feelings I never would have uncovered. What will be your long lasting memory you will take from DofE? 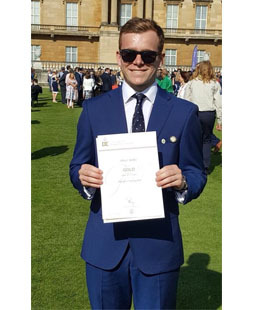 There have been so many great memories and experiences I have had with the award from starting my bronze with enough kit to last 3 people for two weeks on my back, to picking up my gold award at Buckingham palace earlier this year. But the memory I will take with me is completeing my gold expedition in the Brecon Beacons two weeks after coming off crutches, which I had been on for three and a half months, after breaking my knee, the feeling of reaching the finish with my friends will be with me for the rest of my life. Have you worked on any other awards alongside the DOFE? I haven’t don’t anything similar like the queens badge. I would recommend this to anyone that would like to get out and go and be yourself, and make new friends for life. How many years' service do you have in The Boys' Brigade? Do you think that you will continue volunteering? I will continue volunteering at my Company as they have given me so many opportunities within the group which I am grateful for. I would like to give my time back to the children that are there now, I was once them at their age and its great to see the children grow up and become young adults. Which part of The DofE Award did you enjoy the most and why? I really enjoyed my residential as it gave me a qualification, it also gave me the opportunity friends for life , I met so many new people. It also gave me the chance to develop my faith more. It was enjoyable to be away for a week, learn about other Companies and how they worked compared to us. The DofE has helped me through a lot, I didn't think I was fit enough to complete it. It really did prove me wrong in what I was capable of doing. It brought friendships closer, and grew my confidence with different people. It gave me skills I thought I never had before. What is the lasting memory you will take from The DofE experience? 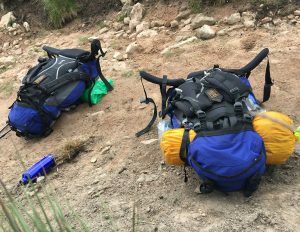 My lasting memory will be that I wanted to give up on my sliver expedition I wanted to give up because I didn't think I was physically fit enough. But I was so grateful for the boys in my group they wouldn't let me give up and they helped me carry my bag for a good distance. I will not forget how well my team worked together.